The purpose of a facet on a gemstone is to reflect light. The angle of each facet plays an integral part in the final result of a gem. 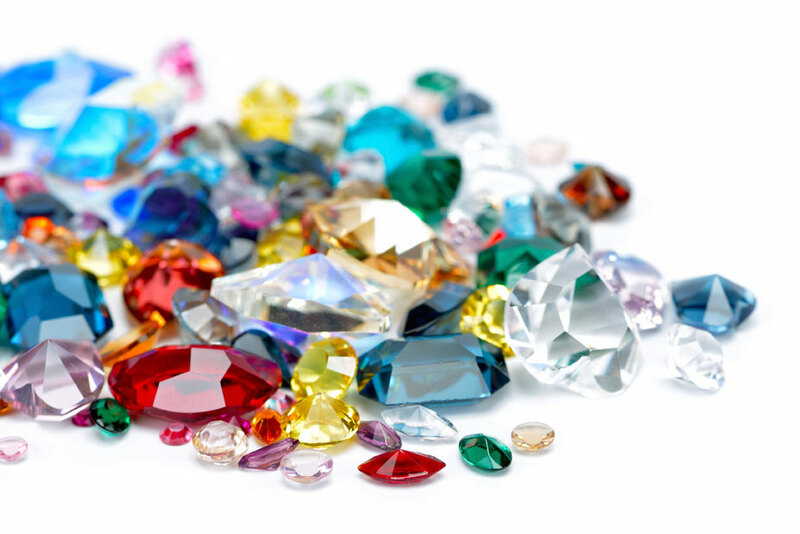 And while the facets might appear to be arranged the same on each gem, the angles of each facet has to be adjusted based on the refractive index to maximize the brilliance of each individual gem. The angles used can vary but the minimum angle for the facet to reflect light back into the gemstone is call the critical angle. When a gem is poorly cut, with less facets, the light can strike lower than the optimal angle and the light will leave the gem instead of reflecting through the gem as brilliance. Gemstones with a higher refractive index are more desirable because it allows for a greater internal reflection and the light is less like to escape. Ayanna, why are you talking about gemstones and facets? Haven’t you figured it out? You, my dear, are the gem. And while you may think that all the different facets of your life conflict with each other or even compete with each other, I’m here to share a different point of view. Your facets…child, spouse, parent, sibling, employee, boss, community volunteer, a member on a board of directors, artist, author, speaker, designer, inventor, etc. all play off of each other. Each reflection shines a light on another facet and so on and so on. The different facets of your life shine on each other and while there will be times you may feel like they are competing for space. It’s not a competition, it’s a collaboration to make you shine. You can have a family and pursue your passion. You can have a 9-to-5 and lay the foundation for your own business. Your different facets give you a broad perspective and allows you to see things differently. No two gems are the same, even when they have the same number of facets. Remember, the reflection of the facets is individual to the gem. Don’t compare your facets to someone else’s. You are just as brilliant as the next person. Acknowledge and embrace all of your facets…and shine on. Truly inspirational. Thanks for the post!